Have you ever looked at a heavy volume on neuropsychology and wondered what it would actually be like to become a professional clinician, working every day with neurological patients in a busy hospital while simultaneously learning your craft? This book tells the story of that journey. 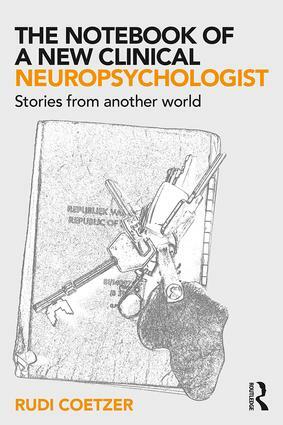 The Notebook of a New Clinical Neuropsychologist vividly details the experience of starting work in clinical neuropsychology, exploring early-career learning and development through an intimate, case-based approach. Topics include the learning of basic clinical skills and knowledge, counter-transference, the clinician’s emotional experiences, ethical and moral dilemmas, and the development of clinical reasoning. The book is structured around individual studies from the author’s early caseload, with each vignette containing the relevant neuropathology, clinical presentation, history, neuropsychological test finding and other clinical data. Chapters are also organized around key neuropathological conditions, including traumatic brain injury, stroke, and brain infections, which provide a broader context for the narrative focus of the book. Few academic books explore the personal, intellectual and ethical dilemmas that face a new clinician working with patients in a neuropsychological setting. Tailored to facilitate experiential learning via case studies, reflective practice and problem based-learning, the book will be of interest to students and professionals working within the broad area of neuropsychology and brain injury services. Dr Rudi Coetzer qualified with distinction as a Clinical Psychologist in 1987. He is Consultant Neuropsychologist and Head of Service with the North Wales Brain Injury Service, Betsi Cadwaladr University Health Board NHS Wales, and an Honorary Senior Lecturer in Clinical Neuropsychology in the School of Psychology, Bangor University.